স্বামী নিগমানন্দই তেখেতৰ শিষ্যসকলক উপদেশ দিছিল শাৰীৰিক মূৰ্তিক ধ্যান কৰিবলৈ যাতে তেখেতৰ সকলো প্ৰশংসনীয় গুণাৱলী আৰু বৈশিষ্ট্যসমূহ স্বয়ংক্ৰিয়ভাবে তেওঁলোকৰ মাজত স্থানান্তৰিত হয় আৰু তেওঁলোকৰ আত্মাক উপযোগী কৰে। অধিকন্তু তেওঁ আশ্বস্ত কৰে যে, যিহেতু তেওঁ আত্মিক অনুশীলনৰ তিনি উপায়/প্ৰক্ৰিয়াত অন্বেষণকাৰীৰ পৰম আধ্যাত্মিক লক্ষ্য হিচাপে যুগপৎভাবে ব্ৰহ্ম, পৰমাত্মা আৰু ভগবানৰ প্ৰকৃতি অনুভৱ কৰিছে, তেখেতৰ প্ৰকৃত শিষ্যসকলেও একেইধাণে যুগপৎ সেই অভিজ্ঞতা লাভ কৰিব। তেওঁ কৈছিল,"সেইয়া আছিল তেখেতৰ শিষ্যসকলৰ কাষৰ পৰা পাব পৰা একমাত্ৰ প্ৰত্যাশা আৰু তেওঁ সেইয়া পূৰণ হোৱাৰ দিনটো দেখা পোৱাৰ অপেক্ষা কৰিবলৈ ভালপায়।"
গুৰু যি কাৰোবাক মুক্ত হোৱাত সহায় কৰে তেওঁক আনুষ্ঠানিক শিক্ষা, তীৰ্থ বা দেবত্বৰ গুৰুত্বৰ সৈতে সমান বিবেচনা কৰিব নোৱাৰি। যদি আমি তেখেতৰ কাষত গভীৰ ভক্তি আৰু প্ৰেম নিবেদন নকৰোঁ, তেতিয়াহ’লে অন্য আৰু কোনে আমাৰ পৰম সম্মান পোৱাৰ যোগ্য? ↑ "Nigamananda Paramahansha". BANGLAPEDIA. http://www.banglapedia.org/httpdocs/HT/N_0174.HTM। আহৰণ কৰা হৈছে: 2011-06-08. ↑ Saraswata Sangha, America. "Paramahansa Srimat Swami Nigamananda Saraswati Deva". Nilachala Saraswata Sangha,Puri. http://web.jayaguru.net/amsas/webtest/। আহৰণ কৰা হৈছে: 2011-06-09. ↑ Sher Singh; S. N. Sadhu (1991). Indian books in print. Indian Bureau of Bibliographies.. পৃষ্ঠা. 572. ISBN 9788185004464. http://books.google.com/books?id=-EMbAQAAMAAJ। আহৰণ কৰা হৈছে: 2 April 2011. ↑ Moni Bagchee (1987). Assam Bangiya Saraswata Math(1987). ed. Glory of India (Sadguru Nigamananda সম্পাদনা). Motilal Banarsidass. পৃষ্ঠা. 98. ISBN 0887061778. http://books.google.com/books?id=1WpDAAAAYAAJ। আহৰণ কৰা হৈছে: 2 April 2011. ↑ Prof. Shrikant Prasoon (28 July 2009). Indian saints and sages. Pustak Mahal. পৃষ্ঠা. 57–. ISBN 9788122310627. http://books.google.com/books?id=ZvJa5nTi3VsC&pg=PA57। আহৰণ কৰা হৈছে: 1 April 2011. ↑ Paramahamsa Prajnanananda (15 August 2006). My Time with the Master. Sai Towers Publishing. পৃষ্ঠা. 25–. ISBN 9788178990552. http://books.google.com/books?id=9hrnJd9cRMcC&pg=PA25। আহৰণ কৰা হৈছে: 18 March 2011. ↑ Mohan Lal (1 January 2006). The Encyclopaedia Of Indian Literature (Volume Five (Sasay To Zorgot). Sahitya Akademi. পৃষ্ঠা. 3961–. ISBN 9788126012213. http://books.google.com/books?id=KnPoYxrRfc0C&pg=PA3961। আহৰণ কৰা হৈছে: 18 March 2011. ↑ Books Llc (May 2010). Hindu Gurus: Swami Vivekananda, A. C. Bhaktivedanta Swami Prabhupada, Paramahansa Yogananda, Sathya Sai Baba, Guru, Sai Baba of Shirdi. General Books LLC. ISBN 9781156841020. http://books.google.com/books?id=zTg_bwAACAAJ। আহৰণ কৰা হৈছে: 1 April 2011. ↑ Sri Chinmoy (January 1997). Jardin Del Alma. Editorial Sirio, S.A.. পৃষ্ঠা. 119–. ISBN 9788478082308. http://books.google.com/books?id=PQQ8fJKFB0YC&pg=PA119। আহৰণ কৰা হৈছে: 28 June 2011. ↑ Books; LLC (May 2010). Hindu Philosophers: Paramahansa Srimat Swami Nigamananda Saraswati Dev,Gautama Buddha, Sarvepalli Radhakrishnan, Swami Vivekananda,. General Books LLC. ISBN 9781157067009. http://books.google.com/books?id=joWfSQAACAAJ। আহৰণ কৰা হৈছে: 1 April 2011. ↑ Prafulla Chandra Bhanja Deo; Jitāmitra Prasāda Siṃhadeba (2007). A Tantric scholar, and the British wrath on Bastar State: historical documentation relating to Rajkumar Prafulla Chandra Bhanja Deo, and Swami Nigamananda Saraswati. Punthi Pustak. পৃষ্ঠা. 4, 13, 20. ISBN 9788186791660. http://books.google.com/books?id=KJfXAAAAMAAJ। আহৰণ কৰা হৈছে: 9 June 2011. ↑ Chandra Bhanu Satpathy (1 July 2001). Shirdi Sai Baba and other perfact masters. Sterling Publishers Pvt. Ltd. পৃষ্ঠা. 717–. ISBN 9788120723849. http://books.google.com/books?id=I70Hh7ecFiEC&pg=PA17। আহৰণ কৰা হৈছে: 1 April 2011. ↑ Narasingha Prosad Sil (1991). Rāmakṛṣṇa Paramahaṁsa: a psychological profile. BRILL. পৃষ্ঠা. 92–. ISBN 9789004094789. http://books.google.com/books?id=1VvQ6XAWV8sC&pg=PA92। আহৰণ কৰা হৈছে: 1 April 2011. ↑ Library of Congress Office; New Delhi (1980). Accessions list, India. Library of Congress Office. http://books.google.com/books?id=uGYyAQAAIAAJ। আহৰণ কৰা হৈছে: 15 March 2011. ↑ David R. Kinsley (1979). The divine player: a study of Kṛṣṇa līlā. Motilal Banarsidass. পৃষ্ঠা. 296–. ISBN 9780896840195. http://books.google.com/books?id=SYp8ZglBNysC&pg=PA296। আহৰণ কৰা হৈছে: 15 March 2011. ↑ Nigamananda (1926) (Bengali ভাষাত). Yogi Guru - 7th ed.. Saraswat Math, Garohill Yogashram. http://hdl.handle.net/10689/3826। আহৰণ কৰা হৈছে: 2011-06-08. ↑ Ray, Benoy Gopal (1965). Religious movements in modern Bengal. Visva-Bharati. পৃষ্ঠা. 100. http://books.google.com/books?id=6eVWAAAAMAAJ। আহৰণ কৰা হৈছে: 9 June 2011. ↑ Nilachal Saraswat Sangh (Purī, India) (2001). Sadguru Swami Nigamananda ("The Bhatacharya Family of Kutabpur" সম্পাদনা). Nilachal Saraswat Sangha, Puri. পৃষ্ঠা. 8. http://books.google.com/books?id=El8qAAAAYAAJ&q=bhattacharya। আহৰণ কৰা হৈছে: 22 June 2011. ↑ Sangha, America Saraswata. "Swami Nigamananda's Life Chronological Events". http://web.jayaguru.net/amsas/webtest/SriSriThakura/Chronological_Events। আহৰণ কৰা হৈছে: 2011-06-20. ↑ Saraswata Sangha, Berhampur. "Swami Nigamananda". Nilachala Saraswata Sangha,Puri. http://www.swaminigamananda.org/2.html। আহৰণ কৰা হৈছে: 2011-06-09. ↑ Ray, Benoy Gopal (1965). Religious movements in modern Bengal. Visva-Bharati. পৃষ্ঠা. 100. http://books.google.com/books?id=6eVWAAAAMAAJ। আহৰণ কৰা হৈছে: 9 June 2011. "Suddenly he saw the shadowy image of his wife"
↑ Ray, Benoy Gopal (1965). Religious movements in modern Bengal. Visva-Bharati. পৃষ্ঠা. 100. http://books.google.com/books?id=6eVWAAAAMAAJ। আহৰণ কৰা হৈছে: 9 June 2011. "He went to the Theosophical Society at Adyar and discussed with theosphists..."
↑ Debabrata Sen Sharma (2007). Aspects of Tantra Yoga. Indica Books. পৃষ্ঠা. 44. ISBN 9788186569672. http://books.google.com/books?id=DoHXAAAAMAAJ। আহৰণ কৰা হৈছে: 1 April 2011. ↑ June McDaniel (1989). The madness of the saints: ecstatic religion in Bengal. University of Chicago Press. পৃষ্ঠা. 151–. ISBN 9780226557236. http://books.google.com/books?id=YFuJR_DqltsC&pg=PA151। আহৰণ কৰা হৈছে: 18 March 2011. ↑ Monika Horstmann (8 June 2009). Patronage and popularisation, pilgrimage and procession: channels of transcultural translation and transmission in early modern South Asia ; papers in honour of Monika Horstmann. Otto Harrassowitz Verlag. পৃষ্ঠা. 63–. ISBN 9783447057233. http://books.google.com/books?id=kv0xPCZ6e9sC&pg=PA55। আহৰণ কৰা হৈছে: 4 April 2011. ↑ Monika Thiel-Horstmann (1983). Bhakti in current research, 1979-1982: proceedings of the Second International Conference on Early Devotional Literature in New Indo-Aryan Languages, St. Augustin, 19–21 March 1982. D. Reimer Verlag. পৃষ্ঠা. 118–120. ISBN 9783496007500. http://books.google.com/books?id=6D8qAAAAYAAJ। আহৰণ কৰা হৈছে: 1 April 2011. ↑ Ādi Śaṅkara Advaita Research Centre (Madras, India); Non-difference between Guru and AcSrya JAGADGURU (1982). The Voice of Śaṅkara. Ādi Śaṅkara Advaita Research Centre. পৃষ্ঠা. 140. http://books.google.com/books?id=pafWAAAAMAAJ। আহৰণ কৰা হৈছে: 15 June 2011. ↑ Michael Oren Fitzgerald; The voice of the Jagadguru is an essential part of his message. But Hindus believe that the guru's presence is also part of his message because his spiritual presence can be felt by sincere spiritual seekers. ... (25 May 2008). Introduction to Hindu dharma: illustrated. World Wisdom, Inc. পৃষ্ঠা. 13–. ISBN 9781933316482. http://books.google.com/books?id=SEhzDqhWiRcC&pg=PR13। আহৰণ কৰা হৈছে: 15 June 2011. ↑ Kamal K. Mohanty (2001). Orissa, the lost footsteps. Vision Publications. পৃষ্ঠা. 384, 195. ISBN 9788187176008. http://books.google.com/books?id=BDRuAAAAMAAJ। আহৰণ কৰা হৈছে: 1 April 2011. ↑ Ray, Benoy Gopal (1965). Religious movements in modern Bengal. Visva-Bharati. পৃষ্ঠা. 102. http://books.google.com/books?id=6eVWAAAAMAAJ। আহৰণ কৰা হৈছে: 9 June 2011. "Sanatan Dharma which is eternal and changeless. Another aim is to impart proper Education...."
↑ Saraswata Sangha, America. "Swami Nigamananda's Philosophy and Teachings". Nilachala Saraswata Sangha, Puri. http://web.jayaguru.net/amsas/webtest/SriSriThakura/Philosophy। আহৰণ কৰা হৈছে: 2011-06-11. ↑ Benoy Gopal Ray (1965). Religious movements in modern Bengal. Visva-Bharati. পৃষ্ঠা. 102. http://books.google.com/books?id=btYXAAAAIAAJ। আহৰণ কৰা হৈছে: 9 July 2011. ↑ Dr. G.S. Chauhan (1 January 2005). The Gospel Of The Sikh gurus. (Gyan - Path of Knowledge & Bhakti Path of Devotion). Hemkunt Press. পৃষ্ঠা. 44–. ISBN 9788170103530. http://books.google.com/books?id=u8WdzvoX4GAC&pg=PA44। আহৰণ কৰা হৈছে: 11 July 2011. ↑ Linda Johnsen (25 January 2000). Meditation is boring? : putting life in your spiritual practice. Himalayan Institute Press. পৃষ্ঠা. 71–121. ISBN 9780893891794. http://books.google.com/books?id=tk2FgXDMwoQC&pg=PA71। আহৰণ কৰা হৈছে: 4 April 2011. ↑ Arvind Sharma (1 July 2001) (English ভাষাত). Classical Hindu thought: an introduction. (CHAPTER-III Brahman : Nirguna and Saguna). Oxford University Press. পৃষ্ঠা. 43. ISBN 9780195658712. http://books.google.com/books?id=CGkbAQAAMAAJ। আহৰণ কৰা হৈছে: 11 July 2011. ↑ R. Venugopalan (1 October 2001). [http://books.google.com/books?id=bMnEpBPHnUAC&pg=PA53 Soul Searchers the Art of Breathing]. 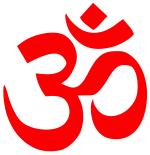 (Bhava Loka). B. Jain Publishers. পৃষ্ঠা. 53–. ISBN 9788170219637. http://books.google.com/books?id=bMnEpBPHnUAC&pg=PA53। আহৰণ কৰা হৈছে: 11 July 2011. ↑ Manoj Das; Neeta Gangopadhyay; Sahitya Akademi (2001). Tales told by mystics. Sahitya Akademi. পৃষ্ঠা. xii–233. ISBN 9788126011759. http://books.google.com/books?id=z5KBAAAAMAAJ। আহৰণ কৰা হৈছে: 1 April 2011. ↑ Sir Charles Eliot; Guru and Ista(deity) are one and the same (1998). Hinduism and Buddhism: an historical sketch. Psychology Press. পৃষ্ঠা. 250–. ISBN 9780700706792. http://books.google.com/books?id=kMnOBpUy7P4C&pg=PA210। আহৰণ কৰা হৈছে: 15 June 2011. ↑ Swami Nigamananda's JIVANMUKTA UPASANA( realisation of truth or liberation in the present life)THEORY, Book: Sadguru Swami Nigamananda (Page:207) By NSS Puri (India). ↑ 68.0 68.1 Bulletin of the Ramakrishna Mission Institute of Culture. Swami Nigamananda on "Tantra"& "Self realizaton" & "Death". The Institute. 1 January 1969. পৃষ্ঠা. 130–134. http://books.google.com/books?id=xjXkAAAAMAAJ। আহৰণ কৰা হৈছে: 8 April 2011. ↑ N.H. Sahasrabudhe; R.D. Mahatme (May 2000). Mystic Science of Vastu ("Karma" Principles, "Past Sanskar" সম্পাদনা). Sterling Publishers Pvt. Ltd. পৃষ্ঠা. 76–. ISBN 9788120722064. http://books.google.com/books?id=UQdaR0hZm9oC&pg=PA76। আহৰণ কৰা হৈছে: 14 April 2011. ↑ Bibudharañjana (2008). Divine death: Lord Jagannath, the new embodiment. Prajnaloka. পৃষ্ঠা. 140. ISBN 9788189858049. http://books.google.com/books?id=p4HXAAAAMAAJ। আহৰণ কৰা হৈছে: 1 April 2011. ↑ Dwijendra Lal Bhowmik; Tribal Research Institute (Tripura; India) (2003). Tribal religion of Tripura: a socio-religious analysis. প্ৰকাশক Swami Nigamananda'sGarohill( Kadaldhoya) Yoga Ashram: Tribal Research Institute, Govt. of Tripura. পৃষ্ঠা. 60. http://books.google.com/books?id=6JXXAAAAMAAJ। আহৰণ কৰা হৈছে: 19 April 2011. ↑ Press Institute of India; Press Trust of India (1997). Data India. Press Institute of India. পৃষ্ঠা. 159. http://books.google.com/books?id=4PltAAAAMAAJ। আহৰণ কৰা হৈছে: 15 March 2011. ↑ Sachindra Kumar Maity (1 January 1997). Professor A.L. Basham, my Guruji and problems and perspectives of ancient Indian history and culture. Abhinav Publications. পৃষ্ঠা. 378–. ISBN 9788170173267. http://books.google.com/books?id=tyU4bC4OcvUC&pg=PA378। আহৰণ কৰা হৈছে: 23 March 2011. ↑ Ramprasad Mishra; Lakṣmīṅkarā (1995). Advayasiddhi, the Tāntric view of Lakṣmīṅkarā. Kant Publications. পৃষ্ঠা. 41. ISBN 9788186218006. http://books.google.com/books?id=kMwKAAAAYAAJ। আহৰণ কৰা হৈছে: 23 March 2011. ↑ Indian Anthropological Soicety (2001). Journal of the Indian Anthropological Society. The Society. পৃষ্ঠা. Volume 36, page 156. http://books.google.com/books?id=RE6BAAAAMAAJ। আহৰণ কৰা হৈছে: 15 March 2011. ↑ Library of Congress. Library of Congress Office; New Delhi (2002). The South Asian bibliographer: a list of current publications compiled by the Library of Congress Office, New Delhi. Volume 5. প্ৰকাশক Nilachala Saraswata Sangha,Puri: Sage Publications. পৃষ্ঠা. 888. http://books.google.com/books?id=694PAQAAMAAJ। আহৰণ কৰা হৈছে: 7 April 2011. ↑ Swami Rama (1 July 1999). Living with the Himalayan Masters. Himalayan Institute Press. পৃষ্ঠা. 424–. ISBN 9780893891565. http://books.google.com/books?id=uOsw7Z6pTjAC&pg=PA424। আহৰণ কৰা হৈছে: 1 April 2011. ↑ Press in India (1963 - Language Arts & Disciplines). Part 2. 1963. পৃষ্ঠা. 505 (Sr.607). http://books.google.com/books?id=60XQAAAAMAAJ। আহৰণ কৰা হৈছে: 19 March 2011. ↑ Amulya Kumar Tripathy; P. C. Tripathy; Jayadeva (2006). Sri Durga Charan Mohanty. ed (ORIYA ভাষাত). The Gita Govinda of Sri Jayadev. Yogi Guru (1968) Premika Guru (1983) Oriya Translator: DC MOHANTY (Sri Durga Charan Mohanty). (Biratunga,Puri). প্ৰকাশক Puri: Publication Division, Ministry of Information and Broadcasting, Govt. of India. পৃষ্ঠা. Search String "D C Mohanty". http://books.google.com/books?id=Hd5jAAAAMAAJ। আহৰণ কৰা হৈছে: 8 April 2011. ↑ Sri Chinmoy (April 1998). [http://books.google.com/books?id=PQQ8fJKFB0YC&pg=PA119 El jardín del alma]. Editorial Sirio, S.A.. পৃষ্ঠা. 119–. ISBN 9788478082308. http://books.google.com/books?id=PQQ8fJKFB0YC&pg=PA119। আহৰণ কৰা হৈছে: 1 April 2011. ↑ Swami, Nigamananda; Durga Charan Mohanty. "Swami Nigamananda's BHAKTA SAMMILANI". Bhakta Sammilani oriya book written by Durga Charan Mohanty. Assam Bangiya Saraswata Matha. http://absmath.org/en/ABM/Sammilanis.htm। আহৰণ কৰা হৈছে: 2011-07-14. Nigamānanda (2000). Divine way of life. B.Jain. ISBN 978-81-7021-911-8. http://books.google.com/books?id=s0UX8yjs9UQC. Sarasvati Deva (Svāmī Nigamānanda.) (1989). Tantrika guru. Saraswata Sangha. http://books.google.com/books?id=WPooQwAACAAJ. Nigamānanda Sarasvati Deva (Svāmī.) (1989). Gyānī guru. Nilachala Saraswata Sangha. http://books.google.com/books?id=-rBYQwAACAAJ. Nigamānanda Sarasvati Deva (Svāmī.) (1989). Premika guru. Nilachala Saraswata Sangha. http://books.google.com/books?id=akdCQwAACAAJ. Nigamānanda Sarasvati Deva (Svāmī.) (1963). Y0gī guru. Nilachala Sarasvata Sangha. http://books.google.com/books?id=yl9OQwAACAAJ.